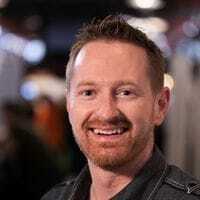 Jeremy Hanks, founder of Doba and currently CEO of DropShip Commerce, will the featured guest at a Startup Grind Hong Kong event April 16th, 2014, where he will be interviewed by MWI’s CEO Joshua Steimle. Hanks is on a trip to Hong Kong to participate in the Hong Kong Spring Electronics Fair and due to a friendship with Steimle going back to 2000 when Hanks and Steimle were both young entrepreneurs doing business in Provo, Utah, Steimle was able to convince Hanks to sit down to talk startups and tell his story to entrepreneurs in Hong Kong. Jeremy is an Idaho farm boy turned serial eCommerce software entrepreneur. He is the Founder & CEO (and Chief Executive Cheerleader, Fundraiser, Recruiter, Storyteller, Culturist, Salesman, Visionary, Strategist, and Cultist) of DropShip Commerce, a leading provider of distributed supply chain management solutions. Before DropShip Commerce, he founded and Doba, an eCommerce drop shipping virtual distributor. Under his leadership, Doba grew over 3,000 percent in four years, was ranked No. 23 on the Inc. 500, was named the No. 1 fasting growing company in Utah on the MWCN Utah 100 list, and was a finalist for the 2008 Ernst & Young Entrepreneur of the Year Award. Prior to Doba, he founded GearTrade.com, a marketplace for used, closeout and distressed inventory, which he sold to the founders of Backcountry.com. Jeremy has spoken at Internet Retailer, Shop.org, Magento Imagine, and the Inc 500 Conference and Awards Ceremony. He is also the founder of LaunchUp.org, an event that focuses on “barn raising” monthly events for entrepreneurs in Utah, Las Vegas, and Hong Kong. He is an avid outdoor enthusiast, and enjoys hiking and backpacking on off-the-grid “Vision Quests”, especially with his two kids and adventure buddies Kaitlin and Alex, as often as he can pull away from the black hole of technology startups.